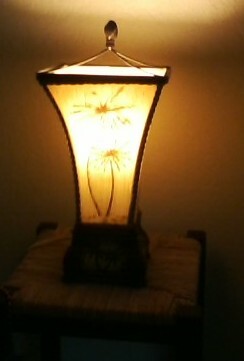 It is a summer rain morning, almost dark if not for the lamplight glow from my palm lamp. I never mind such mornings, finding comfort in the sound of rain. It is a game changer—rain–sometimes subtly but other times, demanding, even over the top. Rain piques my curiosity–keeps me open–alert for possibility. A rainy day recipe has its own ingredients–if not unknown not as familiar so uncertain and like all recipes, each time yet to be proven. The sound of rain is like no other; yet, it, too, may be drizzled, whipped, or pounded. Every day, of course, is its own recipe but rain is its own section. Rain shifts our perspective, whether it is wanted or unwanted. There is a tang to a rainy day, a spice hard to ignore. Chef Thomas Keller said, “A recipe has no soul;” we “bring soul” to the recipe. Perhaps the sound of rain allows us a bit more soul, a little spice we would not otherwise have tasted. I loved this. I have a collection of rainy day memories that range in time across my life and in place from Cape Cod to Korea that bear out your words..